Tuscaloosa is a city located in Tuscaloosa County, Alabama. The 2013 population was estimated to be 95,350 residents. The city is also located on the Black Warrior River and is the fifth largest city in Alabama. The city is served by the Tuscaloosa County School District and educates children in Kindergarten through grade 12 through two primary schools, seventeen elementary schools, eight middle schools, six high schools and one school for special needs students. The goal of the school system is to prepare student’s to be college or career ready upon graduation. The educational opportunities that are available to families with school aged children make Tuscaloosa real estate quite appealing. Homes for sale in Tuscaloosa include single and multi-family homes, condominiums and townhouses. The homes are available in a variety wide range of prices. The first time Tuscaloosa home buyer will find just the right home. For those who would rather not purchase homes for sale in Tuscaloosa will find apartments and homes for rent. It is always important to secure the services of a Tuscaloosa real estate agent to help find the perfect home. Tuscaloosa was founded in 1819 and was named after Tuscaloosa, the chief of the Muskogen speaking people. The city is known by its nickname, Druid City because of the water oak that were planted in the downtown area beginning in 1840. After the War of 1812, settlers began moving into the area and began to build log cabins along the river. The University of Alabama opened their doors in 1831 and the population and the economy began to grow. Today, education is the driving force behind the economy, as well as diverse service and manufacturing entities. 25 percent of the population in the Tuscaloosa area is employed by local, state and federal government agencies. The economy is strong and robust and the cost of living and unemployment rate is lower than the United States average. Both those features make real estate in Tuscaloosa quite appealing and the city exciting to live in. Families seeking Tuscaloosa homes for sale will appreciate the recreational opportunities available to them. The city operates several parks and the amenities include sports fields, walking trails, shelters, playgrounds and spray fountains. Programs include exercise and dance, arts and crafts, outdoor adventures, day camp, therapeutic recreation and youth and adult sports. Family members of all ages will find something to do that is to their liking. There is always something to do in the city and families looking for Tuscaloosa AL real estate will appreciate the opportunities. History buffs will enjoy the Alabama Museum of Natural History, while others will have a blast at the AMF Bama Lanes. There is also galleries, home and garden tours, children’s museum, petting zoos, theater and the Bryant Denny Stadium. One of the more popular events in the city is the Druid Arts Festival. It is a daylong event designed for the entire family of all ages. The art inspired festival allows participants to embrace local artists and their work. The festival also includes music and food. Events also include holiday celebrations, concerts, yard sales, music festivals and stage productions. Newcomers seeking Tuscaloosa properties will find something for everyone. 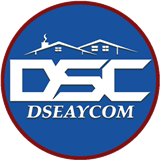 Derrick Seay will know the best neighborhoods when seeking Tuscaloosa AL homes that fit the home buying criteria.